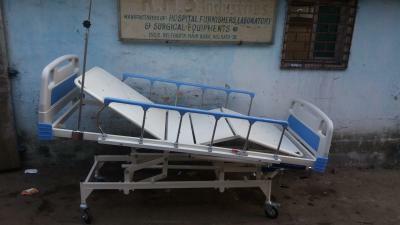 Super Delux I.C.U Bed with Imported Collapsible Railings. Back rest & knee rest, trendelenburg positions by screw system. Powder coated half length collapsible side railing( new design), one imported S.S.I.V rod height adjustable.